The State Fair is known for its deep-fried temptations, collection of curiosities and art deco buildings which did not disappoint this year. For me, the fair is a place where lasting memories are captured forever. It has become a tradition for the StopDISD members and has blossomed through the years. For the group it is so much fun to go the State Fair of Texas and peek at the horses, admire all the blue ribbons, take pictures of Big Tex and talk to fellow fairgoers. The group noticed that some fairgoers seemed to have found a distraction and it was kind of unusual and had heads scratching. Wise men say that history is written by ordinary people while a similar philosophy also goes hand-in-hand with history and the kind of T-shirt that you wear. Fairgoers have seen what the past had been like, with the marking of Greyhounds centennial traveling exhibition along with how the future is now just a scan away. This year the StopDISD members donned their bran spanking new T’s displaying much knowledge emblazoned with a Stop sign outline QR (Quick Response) code. 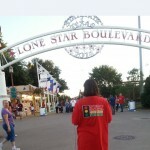 QR codes have been used for some time now and used by “smartphones.” Fairgoers photographed the code, then instantaneously the users were directed to the www.StopDISD.org website. For those inquiring minds, the site was filled with a wealth of knowledge of the past, present, and even what the future may hold for those residing in Jubilee Park. The T’s slogan over a traffic signal light read in the traditional colors (Red). They stole our Taxes ~ (Yellow), They Stole our Land ~ (Green), They Destroyed our Lives ~ Stop DISD! 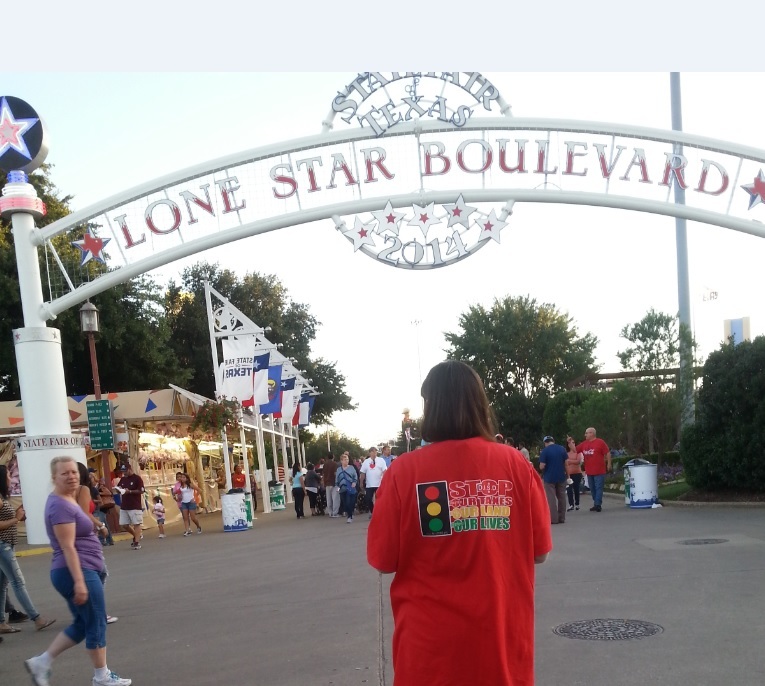 One fairgoer said “It’s the T-shirt that everyone is talking about,” “people are asking questions”. People of all ages were opposed to DISD’s unjust tactics when they learned that DISD used eminent domain to steal the land. One citizen was appalled to learn that one community member had not received one cent for the land seized by the District. Another fairgoer said “I found this site to be one of the most informative sites I have recently looked at”. To everyone who stopped us, showed concern, was eager to learn more, and offered an opinion or two, we say thanks! On a final note, we recently learned that our (QR) message, made the rounds on social media. The T’s were funded through friends of StopDISD.